I wanted to practice drawing on my new Cintiq tablet. How good could I get with detail? How easy was it to draw something complex? I decided to do a line drawing in the style of an animation background design. Having done much digital drawing, it was very natural to draw a few hundred pumpkins and tiny branches right on the screen. 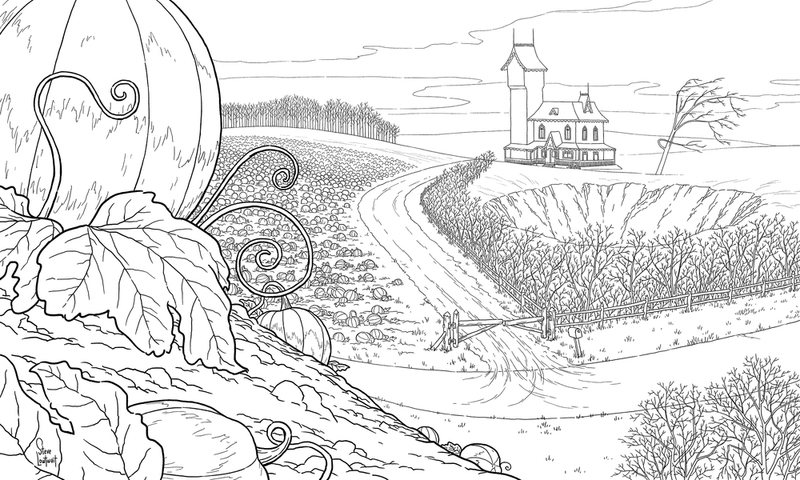 Starting in late October before Halloween, I was in the mood to draw a pumpkin patch scene with a sense of mystery. Why the big hole hidden behind the thicket? Why the windowless tower?